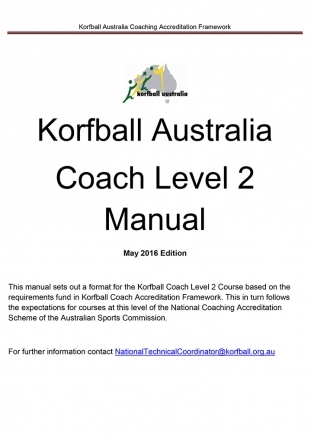 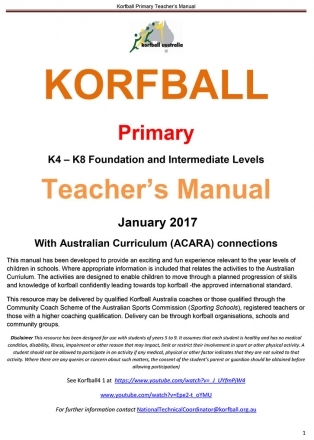 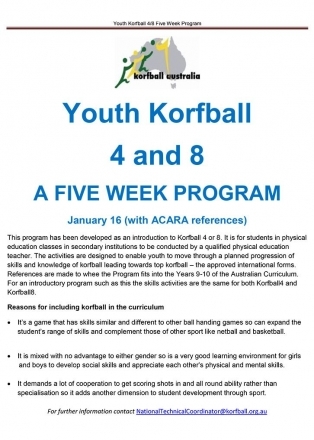 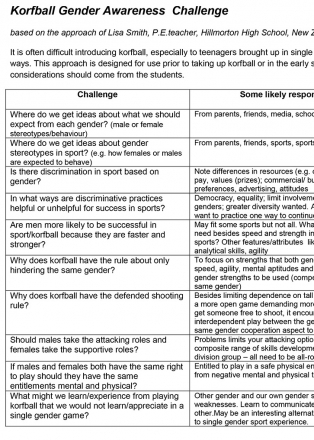 These are the Australian modified rules that can be used in schools or with youth starting up in korfball. 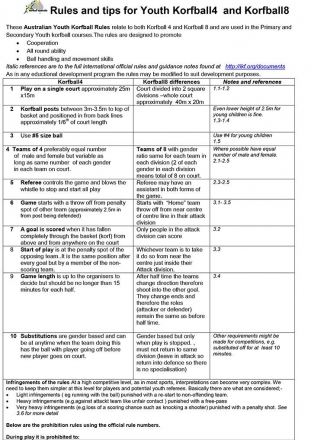 They are for both Korfball 4 and Korfball 8, so you can take your pick and see the differences easily between each form of the game. 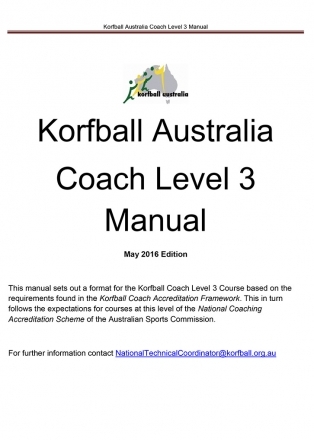 References are made to the Official rules of Korfball, so you can then move into these when it is appropriate to do so.